Who saw this book coming? Not me. If you have somehow missed out on hearing about this book, in a nutshell, it is Twilight told as if all of the female characters were male and all of the male characters were female. To be honest not much of the plot has changed because of this. I was expecting some more changes to be made throughout it but it remained faithful to the original story for the most part. There were some changes made but I won't talk about those because they are more fun if you don't see them coming. I want to say firstly that I enjoyed this version of the Twilight story much more than the original. I feel like this version would have been much better received in general as well. 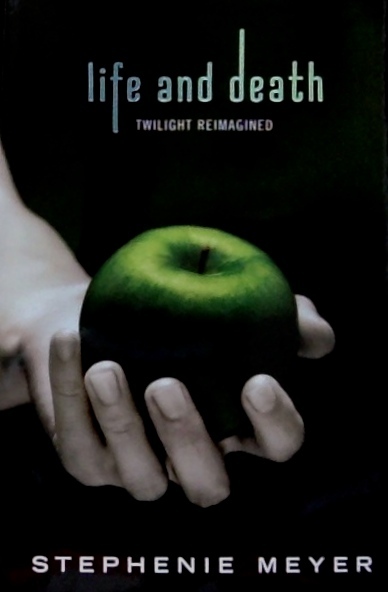 In this version the protagonists are Beau Swan and Edythe Cullen. The names of the characters were all similar to the original. At times this could be interesting and other times it made it a little difficult to separate the new characters from the old ones in my mind. It was interesting to see the story, that is now so well known, in a new perspective. It was fun to read it again with new eyes. If you were a fan of the original I would recommend giving this one a try.